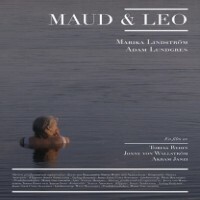 Maud & Leo is written, directed and produced by Jonny von Wallström, Akram Janzi, and Tobias Rydin. The movie is about the bond that’s formed between an elderly woman in her 50s who sets out on a reluctant goal and by chance encounters a 22 year old, uber talkative musician, who was thrown out of his band. They find themselves unlikely partners out on a road trip and end up bickering and arguing with each other. However, in the end they find the respect and meaning they have sought for most of their lives. Maud, 58, changes her mind about committing suicide when she sees someone take their own life on the same cliff that she’s contemplating in. She realizes that she wants to keep on living and decided to fulfill the dead man’s wish of sending his car, the Alfa Romeo Spider – 73 to his son. Leo, on the other hand, stumbles upon Maud as he gets thrown out of his band. He is a talkative musician who hitches with Maud. As they drive along the towns and lakes, they are forced to take in the beautiful silence of the scenery. They talk little about themselves, although Leo is fond of telling stories about his escapades. The movie ends with Leo asking for Maud to stop the car so that he can take a piss, but he takes his bag as he gets off and Maud drives off. Smiling somewhat contentedly, as if she’s found something she’s been looking for all her life. The movie stars Marika Lindstrom as Maud. Lindstrom is a popular figure in the Swedish cinema and is part of Sweden’s biggest theaters, Stadsteatern. As Maud, she does a great job at portraying her character’s slightly mundane and somewhat confused mindset. On the other hand, Adam Lundgren plays Leo, the 22 year old hipster musician who doesn’t seem to run out of stories. He was able to portray Leo’s quirkiness quite accurately and is effective in becoming annoying and at the same time endearing as the young musician. Although the movies cinematography is sure breathtaking as it takes you into the beautiful landscapes of Norrland, the movie storyline and plot leaves much to be desired. The strength of the movie lies in the fact that the actors effectively translated the relationship that was formed between the characters. The lines were, for the better part, quite unimportant and forgettable. But the feel for the movie is enigmatic. It unfolds the drama between the unlikely pair and leaves most of the thought to the capabilities of the viewer to read between the lines. It might not be a very engaging movie, but it doesn’t leave a bitter taste in your mouth. It instead forces you to think of the bonds and relationships that you form and shows you that somehow the most meaningful bonds are ones formed from the most unlikely situations. This work is licensed under a Creative Commons Attribution-Noncommercial-No Derivative Works 2.5 Sweden License.